"Montréal Quebec's ambient power trio Torngat create majestic instrumental music that is at times as breathtaking as the glorious Quebec mountain range from whom they take their name. 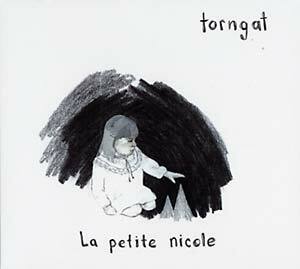 Torngat return with La Petite Nicole, the follow up to the critically acclaimed 2007 effort, You Could Be. This time around the band is sporting a grittier, propulsive sounding record that more closely resembles the band's live sound. La Petite Nicole offers forays into dub-heavy elements of post rock as well hints of Krautrock and the occasional miniature freak-outs. Aside from these flirtations in new directions, the same sound that has made them popular in Canada and festival stages remains. One gets the feeling that the band is creating music for yet-to-be-made films; while cinematic references may be considered standard when describing instrumental music, Torngat's creations are particularly evocative of the medium. Torngat put on a very energetic and inspiring performance and sound a lot bigger than a trio. The heavy use of organs recalls elements of Tom Waits and even hints at the pre-jazz era of Soft Machine. Up until now much of the hype about this young band has been linked to their affiliation to chamber-pop sensations Belle Orchestre and the Luya's, amongst countless other guest appearances with various Montreal projects."